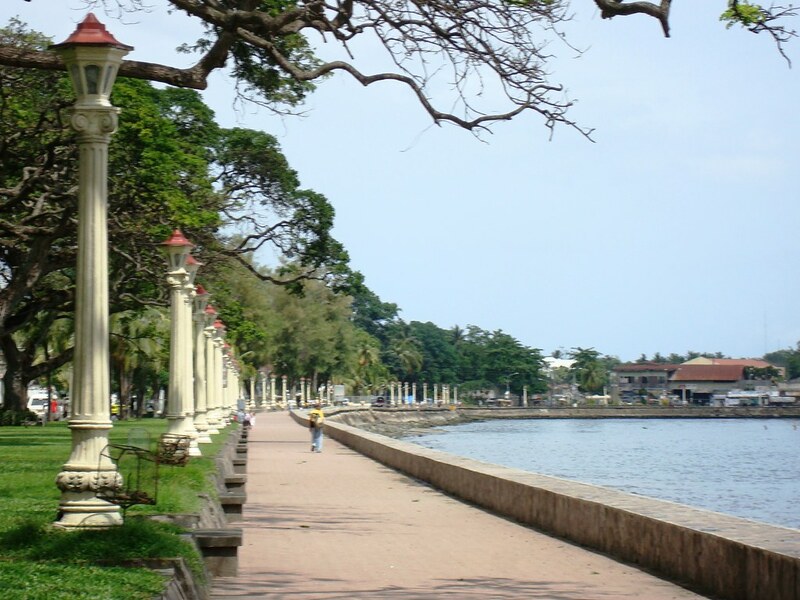 Dubbed as “The City of Gentle People”, Dumaguete City is bounded on the southeast by Bohol Sea and Tañon Strait in the north. Tañon strait (a major sea lanes) connects Visayan Sea to the Bohol Sea, and is regarded as a protected fishing ground. “Dakbayan sa Dumaguete”is the Capital of the Province of Negros Oriental, and considered as one of the fastest developing cities in the Philippines. The proximity of the location, and the convenience of the modern and affordable Land, Air, and Sea transport access from Manila, Cebu and Bacolod City, makes Dumaguete the ideal jump-off points to the enchanting Island of Siquijor-as well as the Island paradise of Sumilon. And because of these natural location, the warmth hospitality of the people, and the tropical climate of the province; large numbers of foreign and local tourist/vacationers visits the many serene beach resorts of the northern coastal town, as well as the majestic dive paradise in the south particularly Apo Island (boasting their one of the best community managed marine sanctuaries in the country). Philippine Ports Authority’s Port District of Visayas (PPA-PDO Visayas) manages the six (6) Port Management Office in the three geopolitical regions in the visayas (except for the Ports/Wharfs in the city or Province of Cebu, which is under the operational and administrative supervision of the Cebu Port Authority), and this include the Port of Dumaguete City. By virtue of the Executive Order No. 254 in 1950 and formalized by the R.A. No. 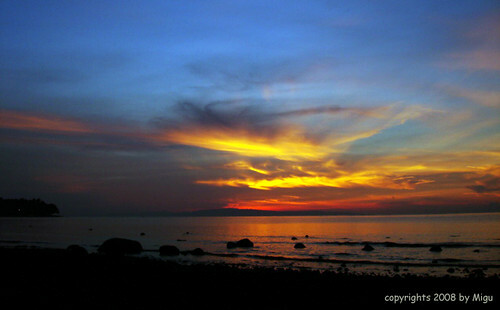 1173 of 1954 thus created the Subport of Dumaguete. TMO Guihulngan – Approximately 116 kilometers north of the City, this port provides access to via small ferry vessels plying the route between Basak, Guihulngan and Tangil, Dumanjug, Cebu. Port facilities include an L-type reinforced concrete finger pier 6-meter wide by 55-meter long, and a berthing area of 99 meters with six (6) cleats mooring fixtures. TMO Larena– Is the main entry point to the province of Siquijor. It can accommodate ships of up to 1000 gross tonnage. 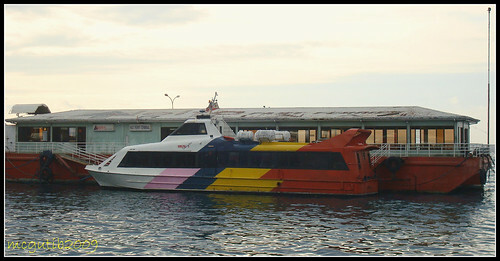 A Passenger Terminal Building (PTB) was built to complement the Roll-on Roll-off transport system, fast craft and ferry boats now plies directly to and from Dumaguete or Bohol on a regular basis. 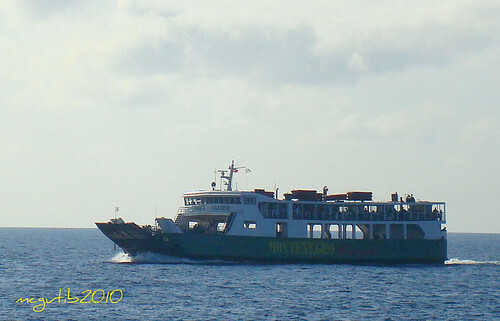 There are also ferry boat trip connecting Cebu, and Plaridel in Iligan on a weekly basis. 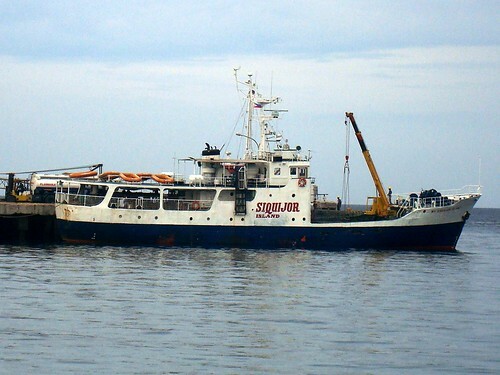 Port of Dumaguete is the main gateway to the province of Negros Oriental and is also a major link to Mindanao’s passenger and cargo traffic, and forms part of the western seaboard’s Strong Republic Nautical Highway (SRNH). 14. United Robina Sugar Milling Corp. (URSUMCO) in Manjuyod. PASSENGER TERMINAL Temporarily housed in a 265 sq. meter, 60 person capacities, fully air-conditioned one story renovated building. With amenities such as clean restroom, a nursing or breastfeeding room, food and beverage kiosk are also available for passenger waiting to board a ferry. As safety and security procedure all in-coming/embarking passenger are required to pass to a walk-through metal detector, and have their baggage check by in-house baggage X-Ray machine inside the Terminal Building. Terminal fee cost only 15 Php for each passenger. 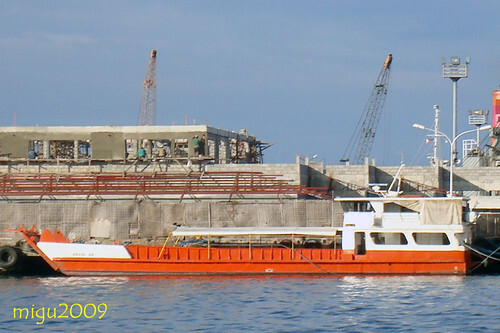 Dumaguete Port is currently under expansion. The project task is to reclaimed few hectares of sea to accommodate more container ships. Port expansion includes excavation of existing seabed along the beach of Brgy. Lo-oc behind the PPA-Dumaguete Office. Constructing of back-up area, mooring and fendering system, drainage, fencing and Port lightning. Target completion is on the 6th of June 2010. Once completed, Dumaguete Port will be much wider by about 1.5 hectares and can accommodate two Inter-Island vessels, berthed simultaneously and with abundance of cargo space for storage and warehousing. The project covers 6,700 square meters and has a cost of P394 million. 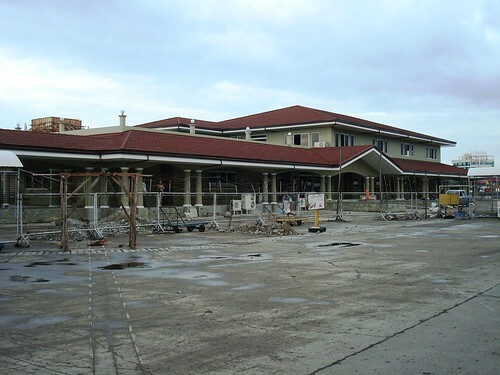 Adjacent to Pier 2 fronting Philippine Coast Guard and Bureau of Custom’s offices is the construction of the new Passenger Terminal costing 50 million pesos, which will soon to be completed. It would be equipped with enough facilities to handle large number of passengers, a fully-air-conditioned building, and with better aesthetic compared to other passenger terminals in other cities. The facility according to its designer was specifically outlined to blend with the architecture of the city. It has a semi-second floor area and can accommodate 1,300 passengers. The City Government has pushed for a Passenger Terminal Building (PTB) over the past years as it noted an increased in the number of port users in this city. 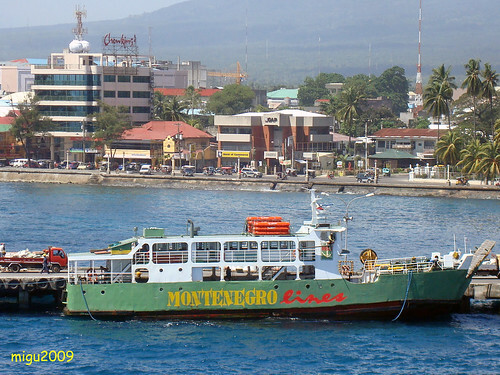 The following are list of Shipping companies that operates passenger ferries in and out of Dumaguete. Offers once a week trip to and from Dumaguete, their itinerary for this route is: From Dumaguete it will depart every Wednesday at approximately 09:45 in the morning and arrives to the Port of Cebu at around 2 pm (Approximately no less than 4 hour trip). Then at around 5:45 in the afternoon it will sail again for Manila, thus arriving the next day at Pier 15 around 6 in the evening (24 hour trip). 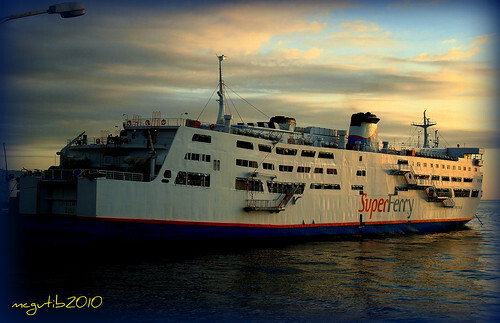 For Manila to Dumaguete, Superferry 1/5 departs from Pier 15 of South Harbor every Monday at 10:45 pm. 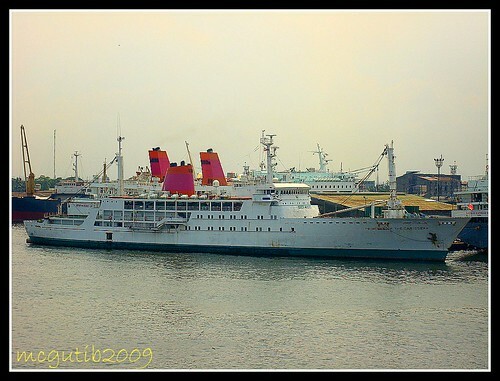 Then arrives on Tuesday 11:00 pm at Cebu International Port, then finally depart for Dumaguete at 2 am Wednesday morning. Note: Schedule is subject to change, please check superferry website for further infos. Note: You may check their website for further infos. 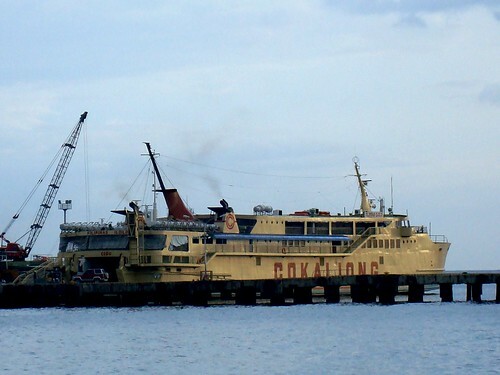 Two pioneer RORO shipping companies are still active to date in this Visayan route, these are Cokaliong Shipping Lines and George & Peter Lines (GPL). 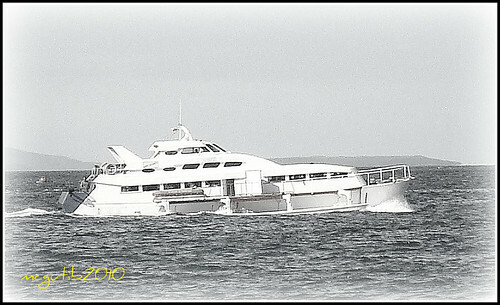 While Ocean Fast Ferries Inc. is the only fast craft company that serves Dumaguete. Departures are everyday of the week except Monday. Departures at 12 midnight and arrives at Pier 1 Cebu City at around 6 in the morning (Approximately 6 hour run). Cebu-Dumaguete route: Mon/Thurs/Fri at 10 pm. For Dumaguete-Cebu City route: Thursday at 10 am/Friday at 11 pm. 3. 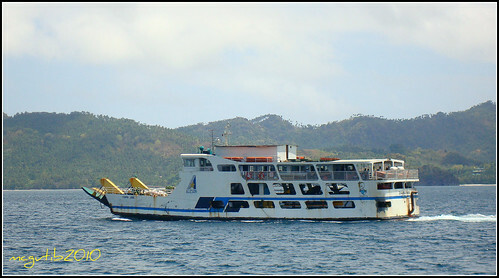 OCEAN FAST FERRIES INC.
With distance of only 44 nautical miles southwest of Dumaguete, most of the ferries can cover this route for about 3 ½ to 4 hours. 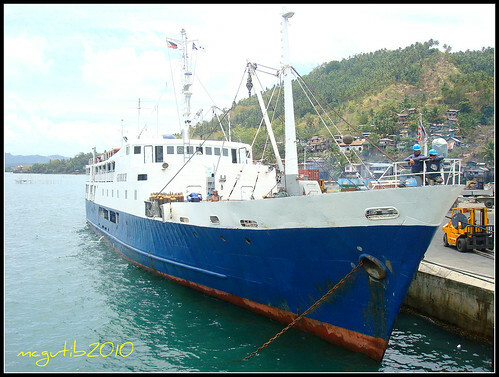 RORO serviced to and from Dapitan/Dipolog started only in 2003 (Pioneer on this route is the shipping company George and Peter Lines, serving this area since early 80’s). 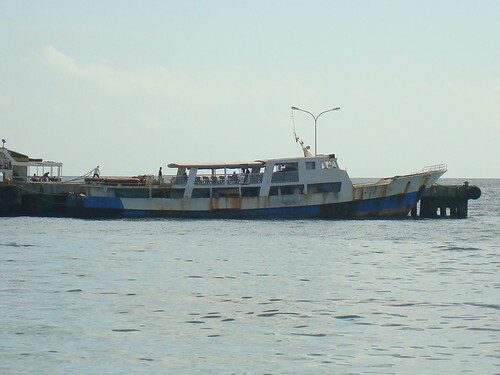 Since then the number of RORO ferries and Operators have increased due to the growth of Passenger and Cargo traffic. While Dipolog City has Galas Feeder Port, Dapitan City meanwhile has RoRo ramps at Pulauan Port, which form part of the Strong Republic Nautical highway (SRNH). 3. ASIA MARINE TRANSPORT CORP. 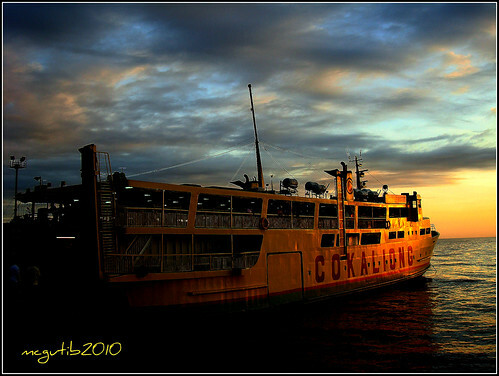 Referred by locals as the “Tagbilaran City Tourist Pier”. The Port of Tagbilaran is the city’s main seaport and is located on the northern edge of the city. 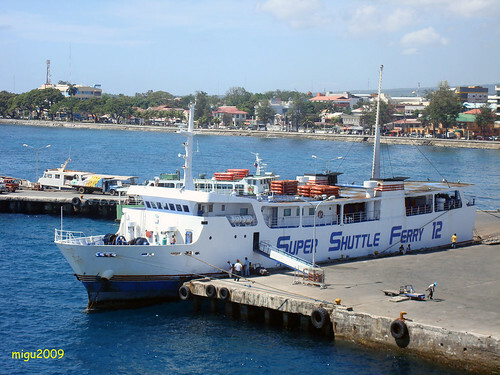 Travelers to and from Bohol island uses this port as its main mode of entry. Bohol particularly Tagbilaran surpasses Negros Oriental and Siquijor in terms of volume of domestic and international visitors. The insular Port of Tagbilaran was also adjudged as one of the region’s healthy port by the Department of Health. Please click the link of Ocean Fast Ferries Inc. to view detailed schedule, fares and promotion provided above. 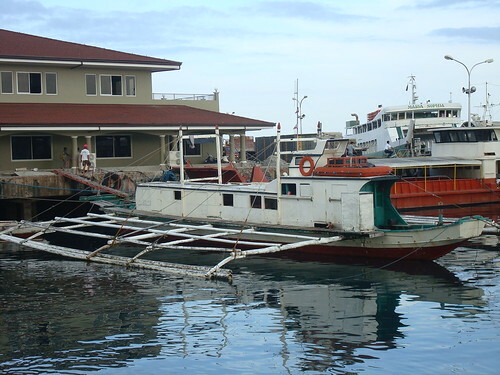 Lazi wharf are visited by boats/ships from Cebu, Bohol, Negros Oriental and Northern Mindanao. Copra, peanuts, tobacco, livestock, maguey and kapok are exported from the island through this port. San Juan Siquijor to Dumaguete v.v -MBca Bienbe, MBca Siquijor II, MBca Siquijor Princess. PORT of CAGAYAN is located in barangay Macabalan facing the Macajalar Bay in the northern coastline of Mindanao, approximately 97.9 NM southeast of Dumaguete City. 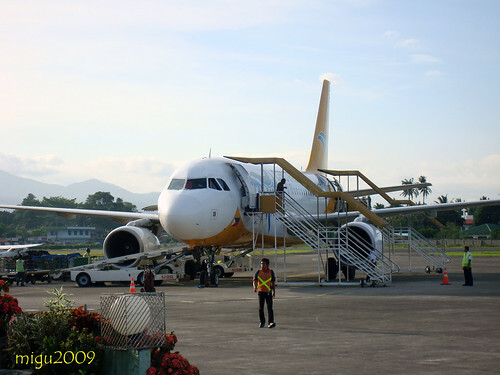 Cagayan de Oro particularly Port of Cagayan is the Gateway to Northern Mindanao’s passenger and commercial traffic. The port is a modern International Seaport situated near the estuary of Cagayan de Oro River; it has an anchorage depth of 18 meters and is around 400 meters from the shoreline. 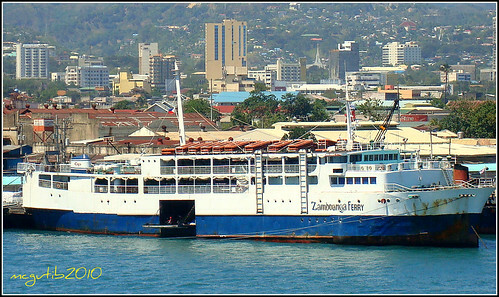 Shipping Company that serves from Dumaguete to this Port v.v-Cebu Ferries Corporation (Subsidiary of Aboitiz Transport System). 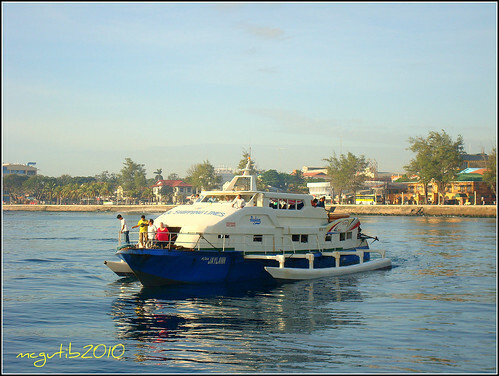 Cebu Ferry 01 – Every Sunday at 10:30 AM (from Dumaguete) Arrival Sunday at 5:30 PM (Cagayan). The schedules and fares posted above are sourced from the ticketing booth found at Port of Dumaguete and/or Ports in Siquijor. The information provided herein is accurate for the time being, but subject to change as per shipping operator’s policy– please be guided. Other pertinent information regarding Shipping Operator, Port terminal policies, and fees can be found at their own website or at designated ticketing office found at said above Ports. The Shipping schedules provided above were painstakingly gathered from different sources and updated every now and then- without being paid or getting any commission from any shipping companies. Your continued patronage (please share it to your Facebook acct.) and generous contribution -any kind- to make this website fully operational will be highly appreciated.